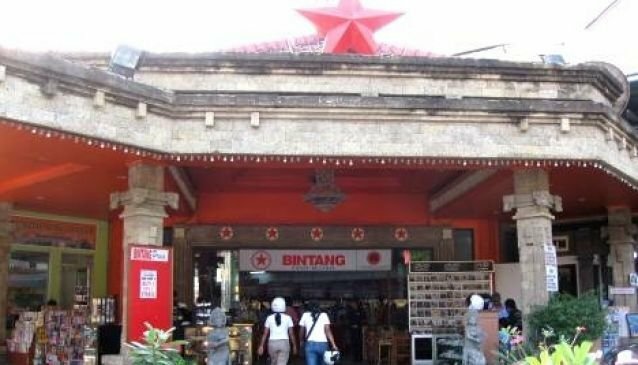 If you’re looking for a convenience store, it doesn’t come more convenient than the Bintang supermarket. Located in the centre of Seminyak, it couldn’t be any easier to find. If in doubt, look for the infamous, large red star on top of the building to guide you. The name originates from the Indonesian word ‘star’ and is also the name of a famous beer. Popular with both locals and tourists alike, the aisles are stocked with goods that will cater to any whim or need. When it comes to food there is an abundance of fresh fruit and other ingredients like spices, meats and vegetables. The colourful shelves are stacked with toiletries from shampoo to shavers, conditioners to concealers. Also available is stationary for studies and souvenirs for tourists. There’s even a clothes section too. Surrounding the shop is a DVD and CD shop as well as a tasty bakery. The store has its own parking lot.